The two-day Kepner‐Tregoe Foundation course introduces individuals working in trouble shooting environments to a systematic process of problem solving when responding to incidents and problems. This enables individuals to deliver a high level of quality and consistency in customer support. The course equips participants with the knowledge of the terminology, structure and basic concepts of Kepner‐Tregoe’s problem management and incident management techniques such as Situation Appraisal, Problem Analysis, Decision Analysis and Potential Problem Analysis. During the Foundation course, participants will be optimally prepared to take and pass the Kepner-Tregoe Foundation examination. The Foundation course is beneficial to individuals who want to be trained and certified in a best practice recommended for Problem Analysis (Kepner-Tregoe is referenced as a best practice in the official ITIL® Service Operation publication). 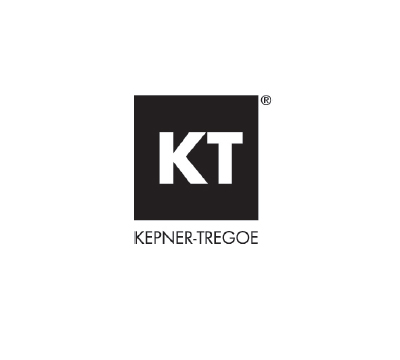 Founded in 1958, Princeton, N.J.-based Kepner-Tregoe is the international leader in developing the critical thinking skills of people. Kepner-Tregoe is a global leader in improving the business performance of clients through proprietary organizational transformation and trouble shooting methodologies. This proven methodology has been used to maximize service performance at global organizations including NASA, IBM, Sun Microsystems, RIM and Siemens. Problem Analysis –‐ The Kepner–‐Tregoe definition of a problem. How to “Describe Problem“, “Identify Possible Causes”, “Evaluate Possible Causes“, “Confirm True Cause“, explain the role of questioning in Problem Analysis. Potential Problem Analysis –‐ The definition of an action and a plan. How to “Identify Potential Problems“, “Identify Likely Causes“, “Take Preventive Action“, “Plan Contingent Action and Set Triggers“. The role of questioning in Potential Problem Analysis.